A cache contains the saved contents of web pages that you opened. This is useful when you visit websites again as the cache will aid in loading the pages faster. However, files stored in your browser’s cache take up space and clearing it can free up space on your computer. This article will give you instructions on how to clear the cache of your Mozilla Firefox browser. 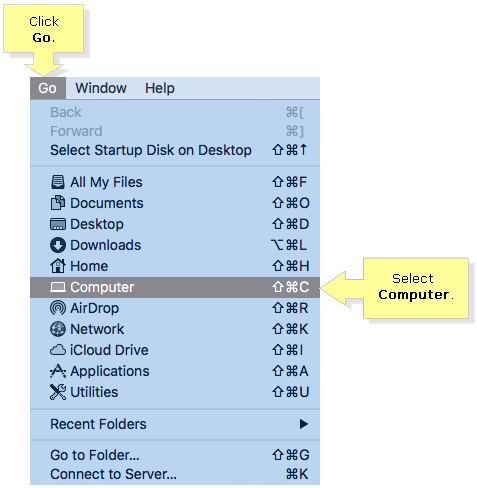 Click Go on the Menu bar, then select Computer. On the Computer window, click the Applications option on the side bar. NOTE: Alternatively, you can also click the to find the Applications folder. 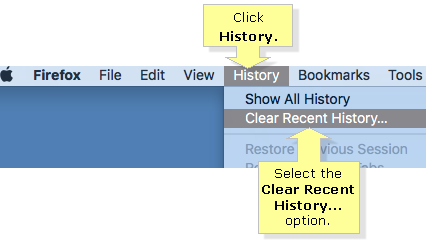 On the Firefox Menu bar, click History then select the Clear Recent History… option. 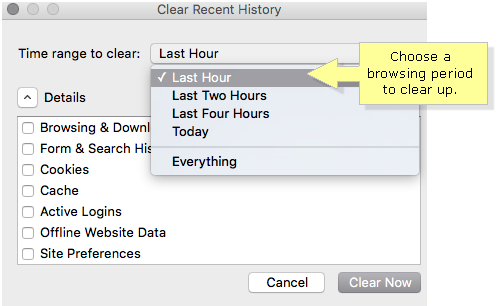 From the Time range to clear: drop-down, choose the browsing period history you wish to clear up. NOTE: In this example, Last Hour is selected. 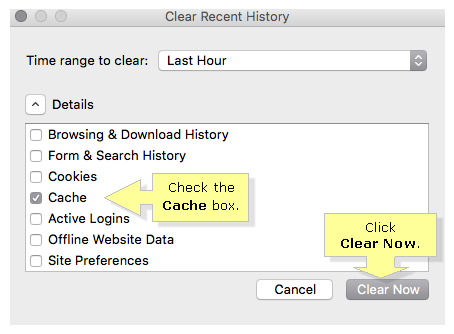 Check the Cache box, and then click Clear Now. NOTE: You can no longer retrieve the information that you have cleared out from the Recent History. QUICK TIP: You may also choose to delete other browsing history and files by checking the other available options.